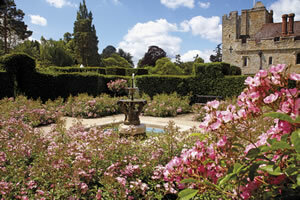 Best known as the childhood home of Anne Boleyn, the award-winning gardens at romantic Hever Castle in Kent were created by William Waldorf Astor at the turn of the 20th century. Designed to showcase Astor&apos;s unique collection of ancient Greek and Roman statuary acquired while he was American Ambassador to Italy, they were laid out between 1904 and 1908 by Joseph Cheal and Son, turning marshland into spectacular classical and natural gardens. There are many water features around the gardens including Half Moon Pond, the Cascade, the cool and shady grottoes and the formal Loggia fountain which overlooks the 38-acre lake. 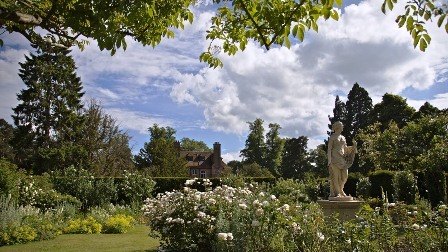 Other areas include the Tudor Garden, Rhododendron Walk and Anne Boleyn&apos;s orchard with its collection of trees planted more than 100 years ago, as well as the Yew Maze and Water Maze. The quintessential English walled Rose Garden contains over 4,000 fragrant roses, planted in blocks of colour from palest pink to deep crimson and rich purple. Varieties range from the Alba and Bourbon to Hybrid Tea and Floribunda. The 18th century house, surrounded by over 200 acres of parkland, is set within 15 acres of formal and informal gardens overlooking the picturesque Kentish Weald. 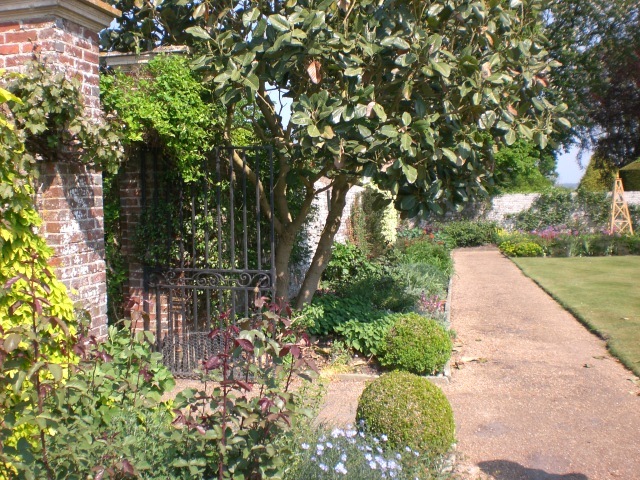 The formal enclosures and magnificent yew hedges date from the early 20th century and are similar to those at Godinton. The gardens provide colour throughout the seasons with carpets of bluebells and daffodils in spring as well as wonderful displays of camellia, magnolia and wisteria. In summer, the long borders filled with herbaceous and exotic plants come to life, and in the autumn a variety of woodland trees provide another colourful display.